Let us take a look at ways to get applications out to your users. We have the standard approach of installing them manually through Group Policy, or at the enterprise level, using Configuration Manager. 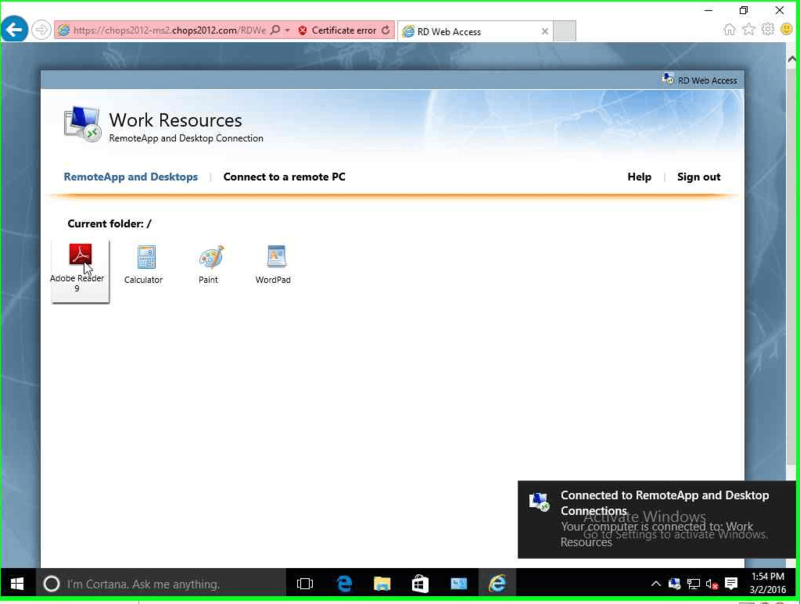 We also have virtual applications we can deploy which require client agent and remote application sessions we can use when creating a remote desktop connection. I am just talking applications not virtual desktops here though. Scenarios we have are that (1) all the apps are installed on the device (physical), (2) none of the apps installed on the device (virtual), or (3) a hybrid of the two with some virtual some remote and some physical. This is what I want to look at and then there is the divide between on-premise connectivity and remote or BYOD connectivity. How about combining Virtual and Remote together and then be able to deliver the apps to all Windows Desktops and Laptops , Mac/IOS and Android tablets? 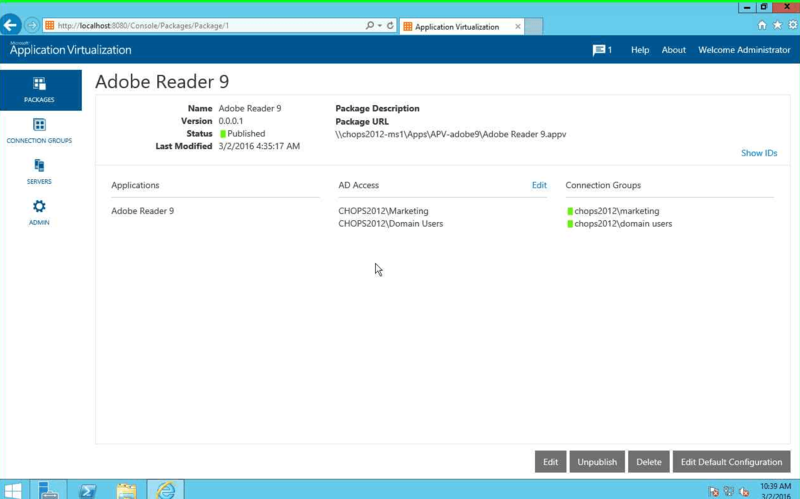 Here I’ll be using Application Virtualization 5.1 and Remote Session Host Windows Server 2012 R2 to get this done. So I have to setup a Management and Publishing Virtual Server 5.1 . I already had some sequenced applications I was deploying through Configuration Manager but had remote clients I could not get App-V client installed on. Also, I had Android, IOS and Windows tablets that I needed to get the application to and did not want the app resident on those devices either. So Here We Go! I Installed the App-V Server and then added my packages and setup a connection group, then added virtual app packages and applied AD Access to it. 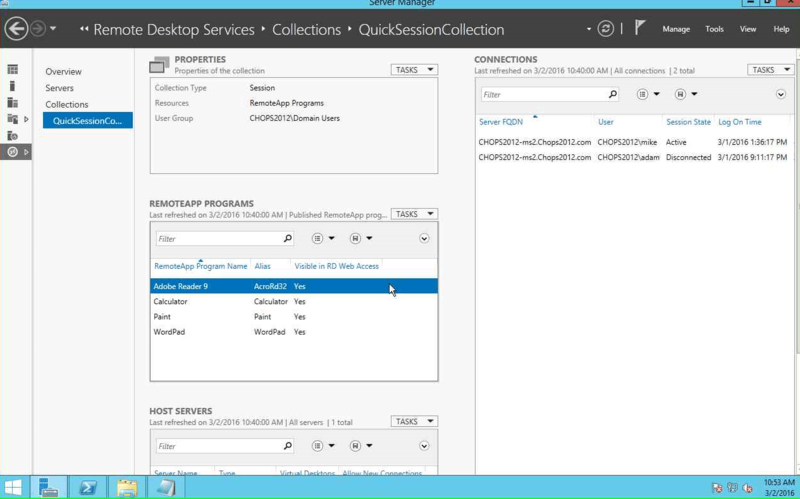 Next, I Installed a Quick Start install of Remote Desktop Services Setup choosing a Session Based desktop deployment, which will install the Connection Broker, Web-Access and Session Host all on one server. 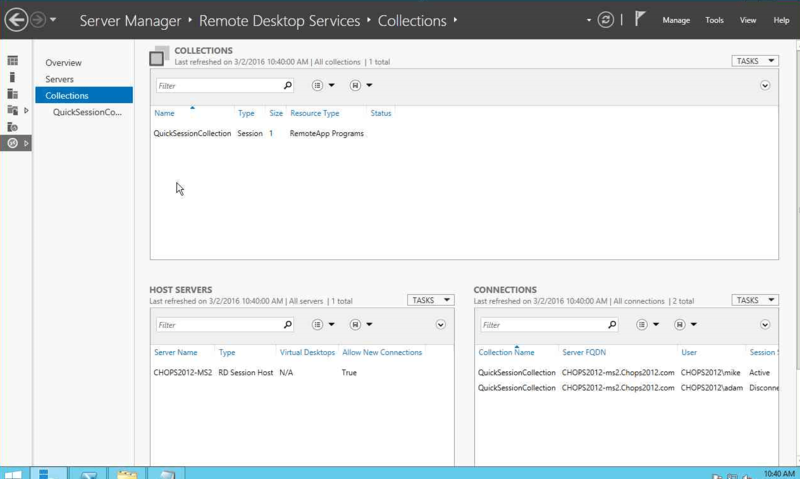 Next Important step: I Installed the Client appv_client_setup_rds.exe on the Session Host. 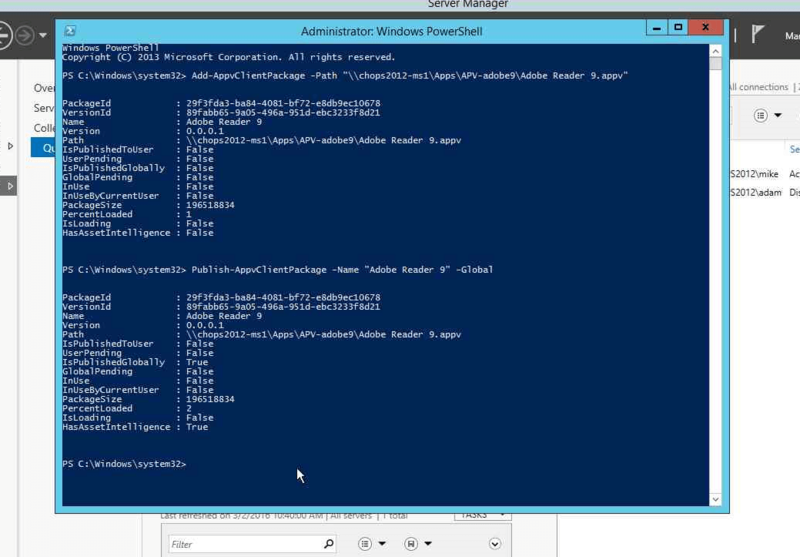 Then configure the server to publish the Virtual Applications from Virtual Server to the Collection in RDS with the global switch using PowerShell and the App-V Client Module. 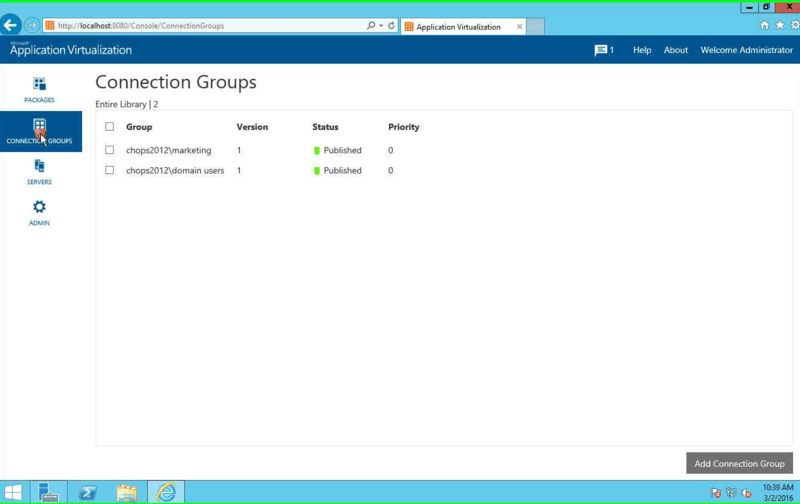 Here we can see below the Virtual app added to the Collection (adding app to RDS Collection). Lastly, we tested connectivity to the RDWEB site from the client side in a browser. 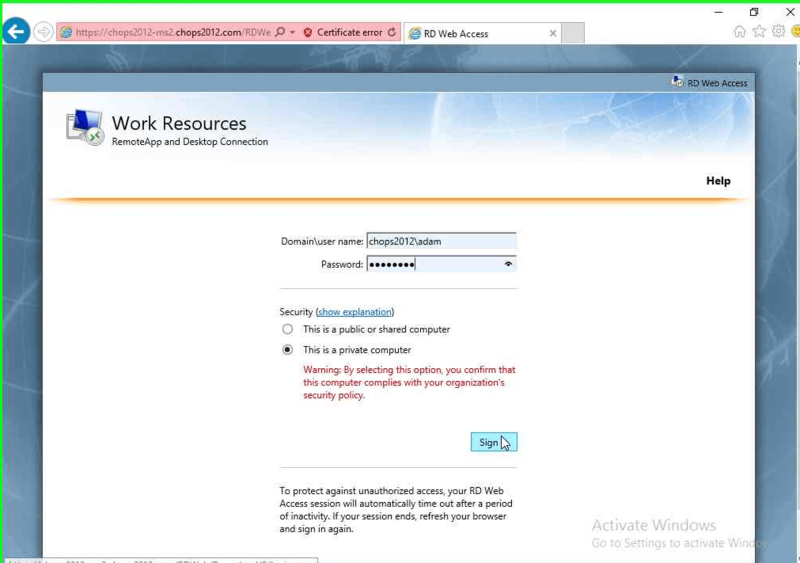 Now, to fix the RDS Certificate Issue and Install the RDS Gateway Server so we can start testing the Remote access for Remote Desktop for Android , which requires Android 4.0.3 and also Remote Desktop App for IOS.